Great vacation getaways in McCall. 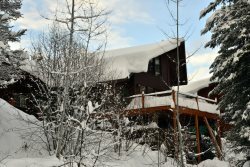 Mountain Joy Cabin - Abundant wildlife.Hot Tub. Peace and Quiet. Hansel & Gretel's Getaway with Hot Tub and WiFi! The Fairway Lodge - on the Golf Course!